The Levers were a merchant family who had acquired large estates in the Manchester and Middleton areas during the Renaissance period of the 1600s. In 1736, Sir Darcy Lever decided to rebuild his family home, Alkrington Hall. Rather than going to local builders, he employed an Enlightenment architect of national importance, an Italian from Venice called Giacomo or James Leoni. James Leoni introduced reason and order into architecture. In Italy he studied the work of Andrea Palladio, an architect whose designs emulated ancient Rome’s simple but noble buildings. 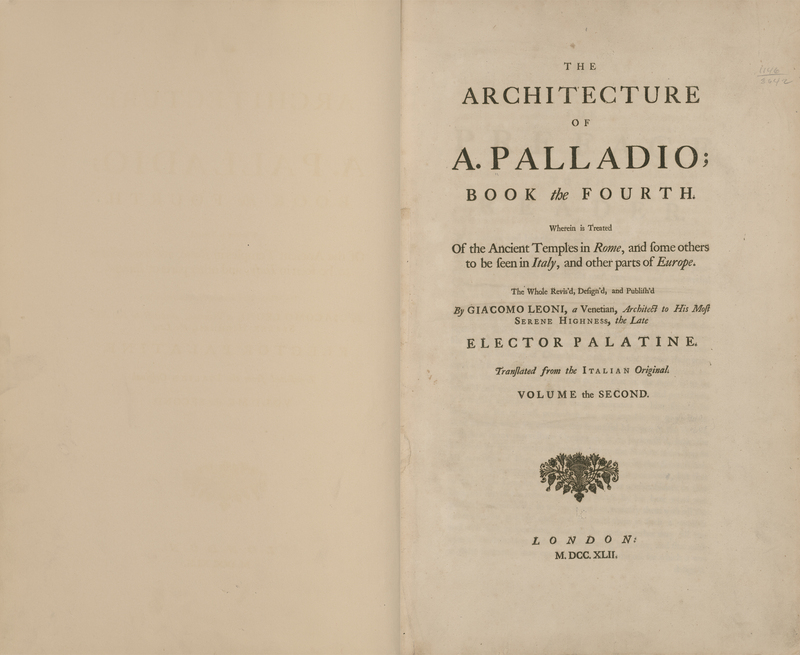 When Leoni came to Britain in 1715, he published his English translation of Palladio’s Four Books of Architecture. It was a huge success and set off an architectural revolution that swept the English-speaking world. Today, we call it ‘Palladianism’, something quintessentially British and the backdrop to many costume dramas. Indeed, in the background of the famous Mr. Darcy ‘wet shirt’ scene is James Leoni’s Lyme Park, Stockport, one of just a handful of Leoni houses to survive. Another survivor is number 7 Burlington Gardens, London, now the flagship store of the American fashion designers Abercrombe and Fitch. Another is Clandon Park, Surrey. This is the closest in appearance to Darcy Lever’s new home and is owned by The National Trust. But it wasn’t just the house that caused a stir, it was the garden too. Darcy Lever had no place for the usual geometric flower beds and straight vistas. Instead, he was inspired by the landscape paintings of Claude Lorrain and Gaspard Dughet, which showed dramatic scenery surrounding imaginary Roman buildings. His new home was to be a perfectly proportioned Roman Villa set in a wild antique landscape. Alkrington Hall sits on a hill surrounded by trees, like a real-life Lorrain painting. The road to it runs along a Serpentine’ or line of beauty, curving away to the right with constantly changing views of the house as you approach it at an angle where you have a picturesque view of its restrained facade. To stop cattle wandering up to the front door, there was hidden ditch called a ‘Ha Ha’. The name came from country folk who laughed when they came upon one. The one at Alkrington is now filled in but you can just about see the line of it. With Alkrington Hall, Darcy Lever created a pioneering house and garden, the oldest Palladian House in Lancashire. Alkrington Hall is listed as Outstanding Grade II* by English Heritage.